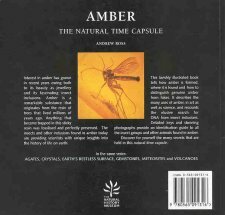 This is a soft backed book on amber by Andrew ross. It has 72 pages and is packed with information. 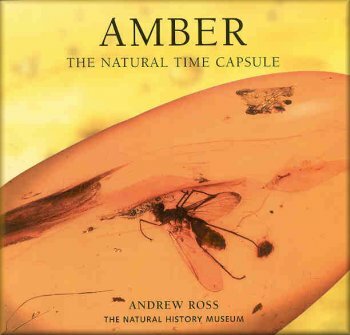 Lots of pictures and good descriptions of the amber and the animals in the amber. The pictures are good, no doubt about that, but this book is a bit different from 'regular' amber books. If you have an insect and you want to identify it, this book has a key for you to figure out if the animal is a fly or mosquito or just a gnat. It is a simple dichotomous key that puts more emphasis on pictures for classification that on terminology. The first of the book goes over "What is Amber?" "The Properties of Amber" and "Fake Amber".